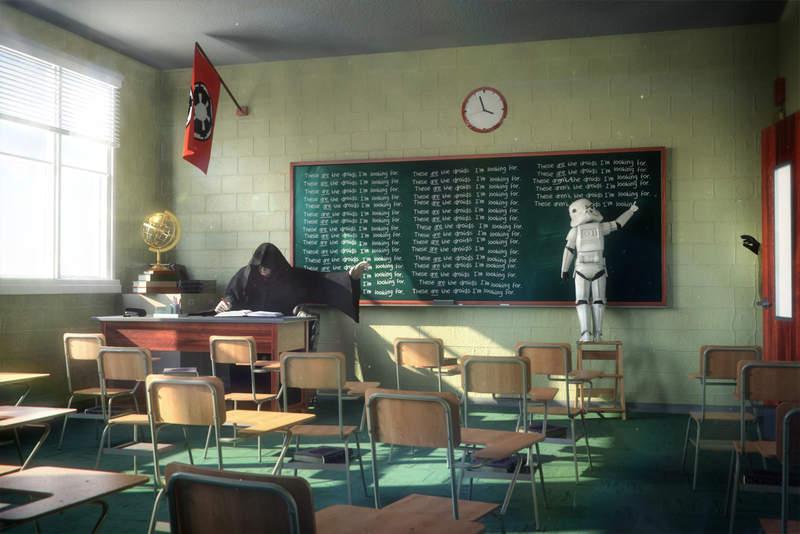 From a series I did on the daily life of a stormtrooper. I upped the res and added a few things. This is a render. No photoshop used.